A few days ago, Deskmag, the coworking magazine, launched a worldwide survey, in order to investigate the motivations of the users of coworking spaces. 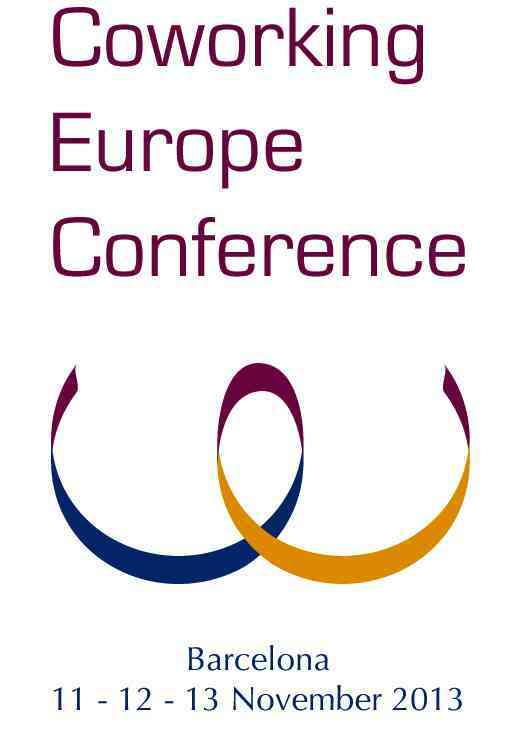 Coworking Europe 2010 is proud to be a partner of this great initiative. The survey collected answers from 661 coworking space users around the world, originating from 24 different countries. The evaluation of the data requires a little time, but a few preliminary results are already available, says Deskmag. Firstly, it seems a large majority of coworkers are very satisfied with their coworking space. Seventy percent of all coworkers said they were very happy with their desk in their coworking space. A quarter found their coworking space to be okay, while only 8% of respondents were disappointed by their community based shared office. One month ago, Entreprise Globale and Tech4i2, released the results coming from a survey on Coworking spaces in Europe. The datas are to be found here. Then, 87% of the surveyed European coworking space answered that new projects were born from a collaboration between people who first met in the coworking space. All those datas are building the case to sustain the creation for more coworking spaces in Europe and elsewhere. We think it’s a fantastic news. CoHere is a coworking community based in Fort Collins, Colorado. They used to be very active and insightful, the last months, on the social networks. Instead of making you dig through the library stacks for coworking resources, I’ve compiled a list for you. Whether you’re a would-be coworking space catalyst, a coworker or simply interested in the idea of coworking, the following resources will give you a good idea about coworking, the people involved and how to get started. Many discussions are worth following on the global Coworking group on Google. This one, started by Cadu, from BeesOffice in Rio de Janeiro, was especially interesting. The 20th century’s economy was based on the industry. The 21st century’s economy will rely much more on creative individuals, soft skills and innovation networks. 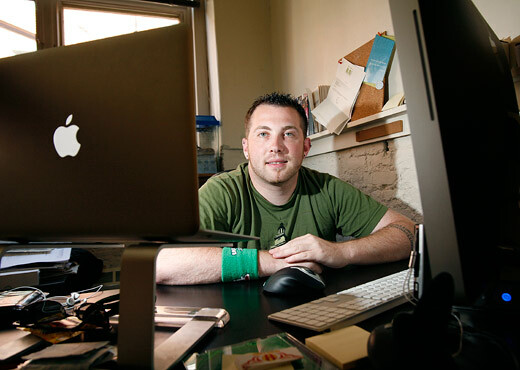 Alex Hillman, from IndyHall, in Philadelphia, counts among the main figures in the US Coworking community and beyond. In reply to Cadu’s question, Alex shared a very insightful thought stressing the difference of impact he noticed between, on the one hand, the creative economy promoted as a theoretical model by some agencies and, on the other hand, the creative economy as it’s achieved now by a new category of players, among which, of course, you may find coworking spaces. The biggest problem with the “creative economy” as an idea is it’s an enforced one, not an emergent one. It’s usually the one used by the Economic Development Centers and local governments to describe a group of people that they’re not. As a result, the people that they’re describing don’t know or understand what they’re being called, or the direct benefit it has to them. This “insider vs outsider” effect has some potential benefits (like varied perspective), but I think that the overall impact of organizations that have built themselves to “improve the creative economy” over the last 10 years is far less than what coworking spaces have been able to demonstrate in less than half that time. Coworking, I think, highlights the same opportunities that “Creative Economists” have been talking about for a decade or more, but instead of labeling something we don’t understand, we’re immersing ourselves in the growth of the economies and taking the time to understand why they work, what they mean, who contributes to them, and why. uniquely valuable, and continue to focus on that, in order to see the greatest potential outcomes from the groups we participate with. who spend lots of time and money talking about it, you can read this post. Take part in the first global survey on the benefits of coworking for coworkers ! The economic think tank Entreprise Globale and the Coworking Europe 2010 conference are partners in the first global survey on coworking users, initiated by the Technische Universität Berlin and Deskmag. This survey is part of an academic, non-commercial study examining the working conditions of coworkers in coworking spaces. It’s the first global survey on coworking. The results will be published for free on a magazine or blog in your country. All replies are anonymous. We don’t at any point ask for your name, or the name of any coworking space. The questionnaire is simple to use. You also can switch between languages in the upper right corner. The continue button is at the bottom of the page. Have fun and thank you for your participation!